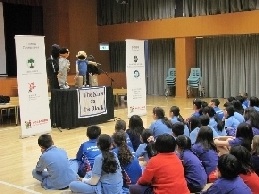 In 1995, the Society for the Relief of Disabled Children (SRDC) and the Hong Kong Society for Rehabilitation (HKSR) brought The Kids on the Block (KOB) to Hong Kong. 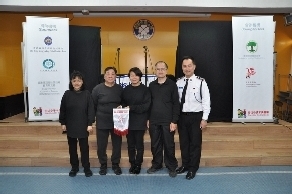 Four founding members of KOB management committee, Dr. Louis Che Shek Hsu, Ms. Mabel Man Ki Chau, Dr. Marion Sum Suk Fang and the late Mr. Johnsman Chung Man Au, led the KOB school performing tours in Hong Kong. 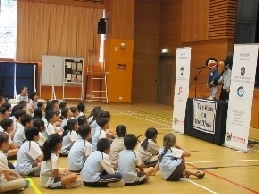 Since that time, KOB has visited and performed in over a thousand primary and secondary schools and other institutions. 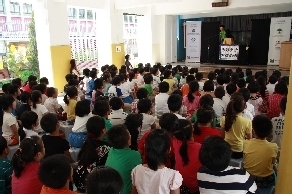 Our shows have been well-received by an audience of well over 400,000 children over a wide range of subjects. 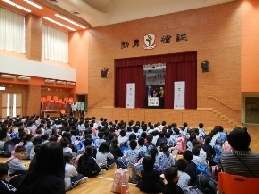 The English performance was launched in 2010 with an audience of over 20,000 as of today. 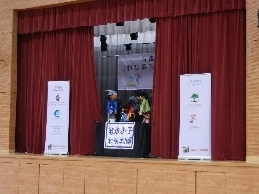 The technique of KOB is based on the Japanese performing art of ‘Bunraku’ puppetry. 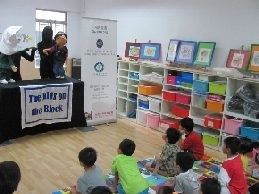 This requires the performer in the background to be in complete black whilst manipulating an almost child sized puppet in the foreground. The effect is very intriguing and captures the attention of the audience. 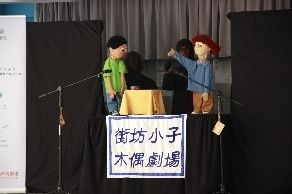 In order to seize on this attraction, the scripts then call on a question and answer dialogue between the puppets and the audience. The children can then comment on anything they have seen or even thought about and communicate through this interaction. 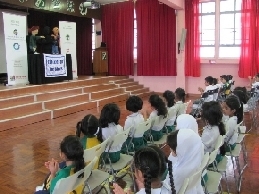 It is hoped that this will deepen children’s understanding of the diversities of society and promote greater understanding of the importance of quality, caring for people and “Healthy Living” convictions. 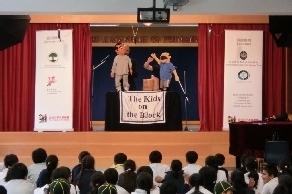 In 1977, ‘The Kids on the Block’ (KOB), an educational puppet troupe, was founded in the USA. 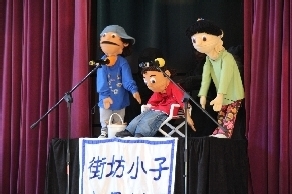 The puppets are in life-size, dress and act like actual kids, representing real children and even disabled ones. 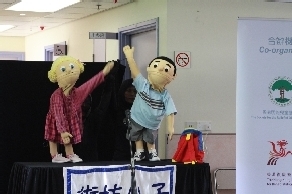 The initial purpose of the group was to use puppets and role-playing to help introduce the special needs and problems of children with disabilities to the wider world of school children. It was a pioneering effort to underscore the similarities of all children in spite of their apparent differences so as to foster tolerance and understanding. After widespread and in-depth research amongst children from all ages and sections of the community, KOB came up with a list of topics that the children considered important to push for. Indeed, this has stood the test of time and proved itself in the ability of children all over the world to identify with these topics. Since then, KOB has become an important social-educational resource with over 1,000 performing troupes. KOB not only reaches every state in America, but is now found in over 30 countries around the world performing in their native tongue. 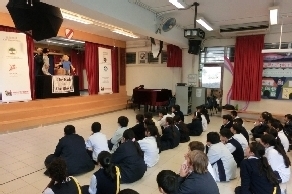 In all cases, KOB uses the same entertainment driven shows to point out lessons in social interaction, recognition and to foster understanding, tolerance and acceptance. 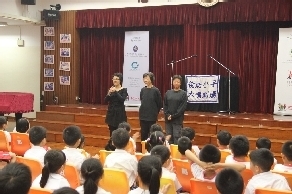 Since 1997 in Hong Kong, KOB has received recognition from the then Education Department and sponsorship from the Equal Opportunities Commission of Hong Kong. 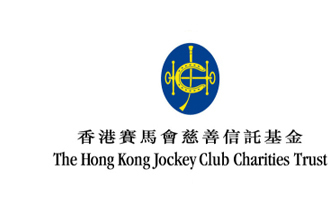 The Hong Kong Jockey Club Charities Trust supported KOB in 2001 to 2006 and 2012-2015, which allowed us to further develop the programme with more shows and the establishment of both a Cantonese and an English troupes to further our missions. Kids on the Block Inc. is Trademarked in the USA, and the use of all our material is on permission. 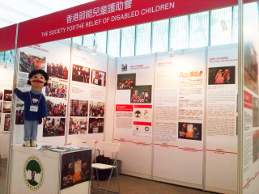 The Society for the Relief of Disabled Children The Society for the Relief of Disabled Children (SRDC) was established in 1953 with the mission to support medical, surgical rehabilitation and educational services to children with disabilities in Hong Kong. We strive to create a world where every child can contribute to society and realize their full potential. 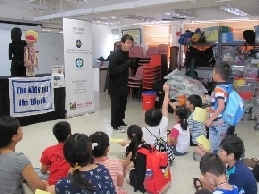 The Hong Kong Society for Rehabilitation (HKSR) is a government recognized charitable organization established in 1959. The Seal of HKSR embraces the legend of the vibrant phoenix which foretells a bright future for people with disability, overcoming their impairments to rebuild their lives. The lively and vigorous phoenix also expresses the values of the Society: dynamic, committed and farsighted. 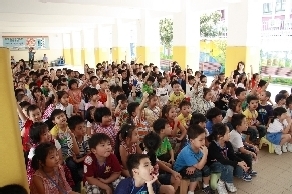 Supported by Education Bureau of The Government of the Hong Kong Special Administrative Region. 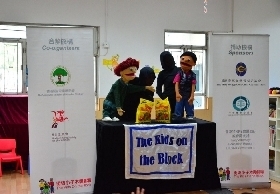 ©The Kids on the Block, Inc. All puppets and program materials are protected by United States and other copyright laws. Unauthorized use is prohibited.